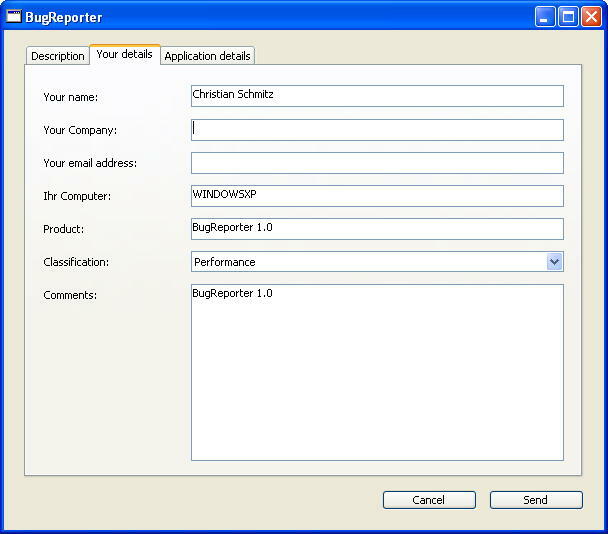 The MBS Xojo Bug Reporter Kit helps you reporting bugs in your applications back to you, the developer.. Localized for French, English, German and Italian. Note to 5-8: If those exceptions are not handled, your application crashes. 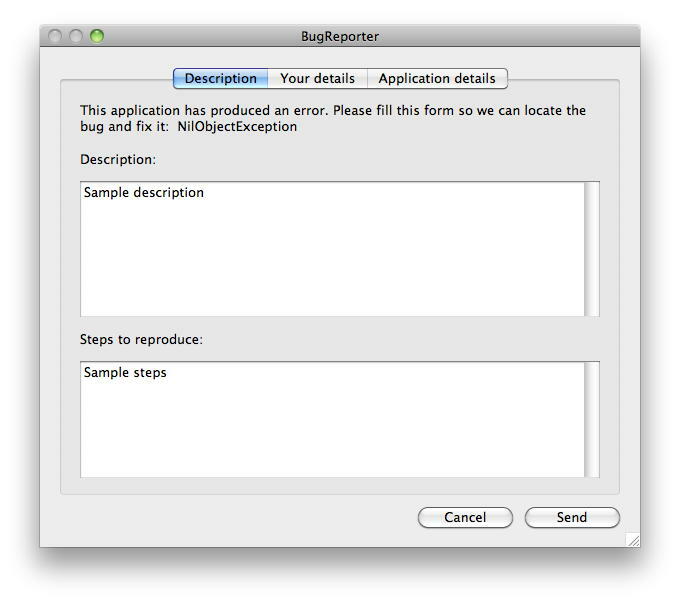 We try to show a bug reporter dialog before that and terminate the application after the dialog is done. MBS Plugins Licenses: Util, MacOSX, Cocoa and Win parts.